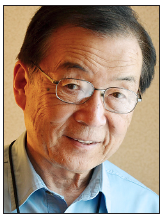 GARDENA — Greater L.A. chapter of the Japanese American Citizens League will host a talk by Heart Mountain internee Sam Mihara on Saturday, Jan. 17, at 2 p.m. at Merit Park Recreation Hall, 58 Merit Park Dr., Gardena. During World War II, the U.S. government forced 9-year-old Sam Mihara and his entire family to move from their home in San Francisco to an internment camp in Wyoming. In his presentation, Mihara talks about his years in the Heart Mountain and Pomona camps, providing a first-hand account of the great civil rights injustice that was experienced by more than 120,000 Japanese Americans. Mihara is a retired rocket scientist with the Boeing Company and has his own high-tech consulting firm, where he enjoys meeting many clients around the world. He developed the “Memories of Heart Mountain” presentation to educate people and help ensure such civil rights violations don’t happen again. In it, he tells the story of his family and what happened to them, why the camps were created, and the important lessons that were learned from this experience. Mihara researched many government and private photo collections for his presentation, including several that had been impounded from public viewing. Many memorable images are works of professionals like Dorothea Lange and were obtained by permission from UC Bancroft Library. By combining these professional images with his own photo collection, Mihara has created an informative and entertaining program that describes the conditions he, his family and his close friends experienced during the incarceration. He is a member of the Heart Mountain Wyoming Foundation, a museum created in 2011 at the camp site in Wyoming. He has also told his story at numerous schools, colleges and Department of Justice offices. All are welcome to attend. For information, call Louise at (310) 327-3169.